Thanks for you comments and clarification Betty – it’s heartening to know that I share the same view as the MHFA CEO. To clarify: I am aware that MHFA is a community education course. The genesis of this paper came from a MHFA instructor proposing MHFA as inservice education program for hospital-based nurses. 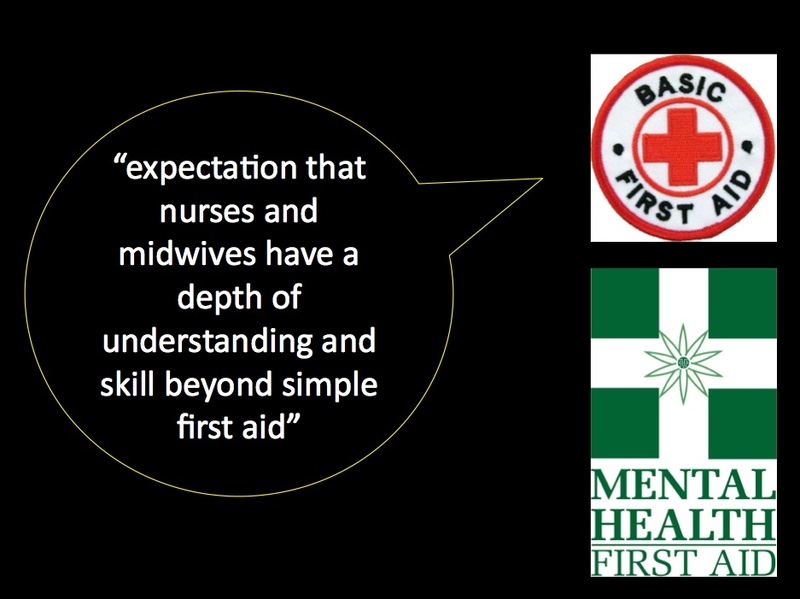 When I argued, as you have, that it was not designed for health professional education, she pointed to the fact that some nursing/midwifery professional bodies have endorsed MHFA for CPD. That ambiguity is where the discussion started. The discussion has since morphed into a conference presentation and now a journal article. None of this is to criticise MHFA – the journal article cites a lot of literature that shows that it is fit for purpose. The purpose of the paper is to as you have done: clarify MHFA’s intent, usefulness and limitations. Kitchener, B. & Jorm, A. (2016) The role of Mental Health First Aid training in nursing education: A response to Happell, Wilson & McNamara (2015), Collegian http://dx.doi.org/10.1016/j.colegn.2016.06.002. 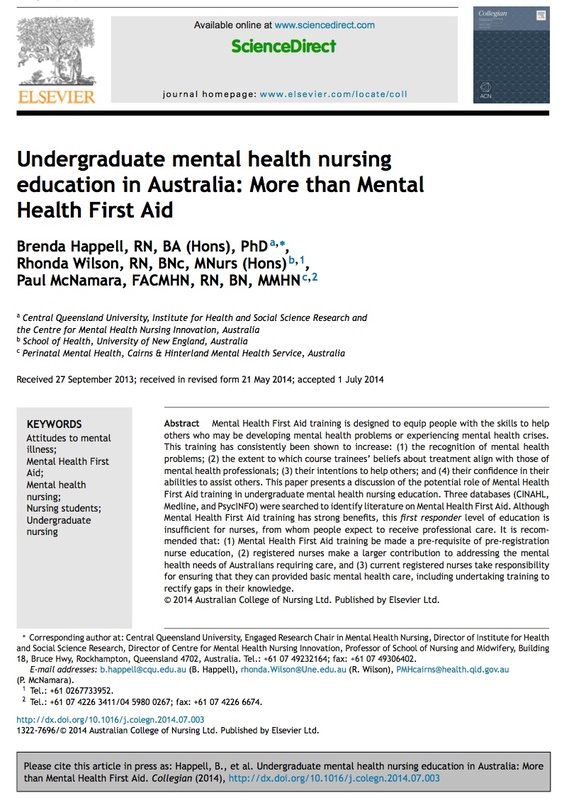 This article responds to concerns Happell, Wilson and McNamara (2015) have raised about the role of Mental Health First Aid (MHFA) training in undergraduate mental health nursing education in Australia. MHFA training was developed in Australia to improve the capacity of members of the public to provide initial help to a person with a mental health problem or in a crisis. In 2012, the Australian government provided funding for MHFA training of frontline workers, including nursing students. From mid 2012-mid 2016, over 15,728 nursing students received the training. An evaluation study found positive effects on intentions to provide MHFA and confidence in helping a peer, improvements in MHFA knowledge and a reduction in stigma. 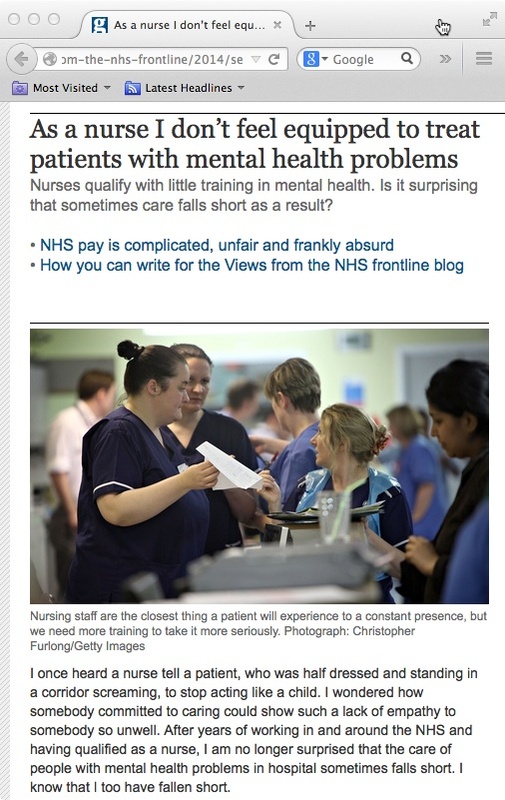 Contrary to Happell, Wilson and McNamara’s concerns that MHFA training will become part of the core nursing curriculum at the expense of mental health nursing content, MHFA training is primarily aimed at peer support. The program has been standardized to preserve fidelity and quality, and the curriculum content follows an evidence-based rather than medical model. 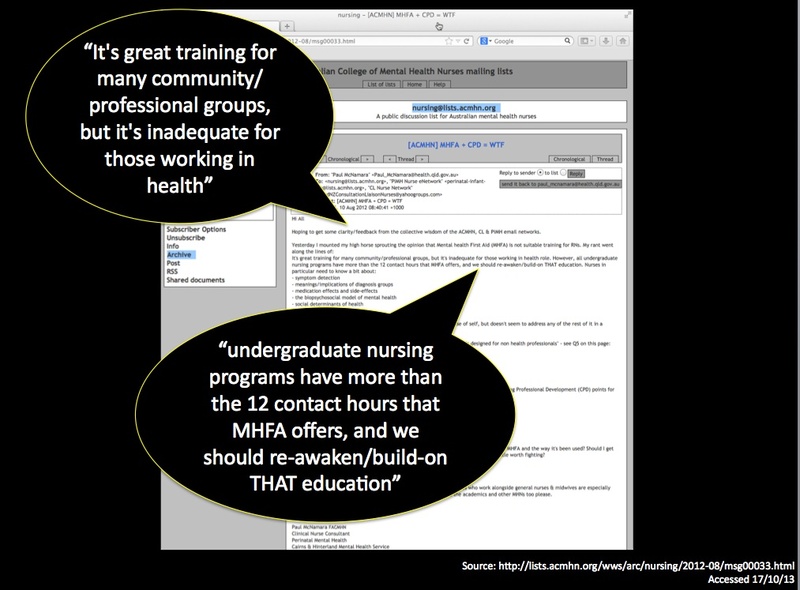 We agree with Happell and colleagues that MHFA training would be a valuable prerequisite to nursing education, but that it is not sufficient for professional training.